This bus was used for a baseball team (www.TCSPostGrad.com). The reason we are selling the bus is because we will be chartering next year to all games. There is nothing wrong with the bus. Never been in an accident. No major repairs besides a new compressor. Hello, I saw your listing on busesonline.com. Please send me more information about Bus 2015 El Dorado. I have for sale a 2008 Chevrolet Collins Multi-Function School & Activity Bus with only 74,539 Miles! This vehicle comes well equipped with the 4.8L Gas Engine, Automatic transmission, high back vinyl bench seats, seat belts, rear door, front and rear AC & Heat, CD Player, rear speakers, manual entry door, manual windows/locks, all emergency equipment, and much more! Free lettering & graphics package for any day care or child care facility who purchases this bus. The bus comes fully serviced and detailed by experienced bus mechanics. With over 50 years experience in the bus industry, you can put your trust in TESCO and buy with confidence! 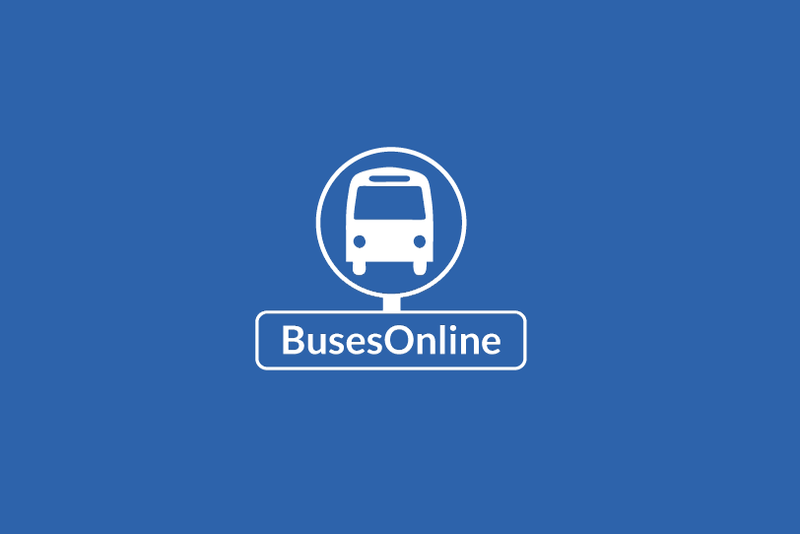 Please visit www.tescobus.com to view over 400 new and used buses available to purchase. Financing options, extended warranty, and delivery are all available. Call Bryan today at 419-356-6939 or email bmcdougle@tescobus.com for more information. For Adults Medical Transport Mobility ADA Handicapped VIN #: 1FDWE35L16HA47611 Stock #: A4827 Condition: Used Clear Title Engine: 5.4L V8 Triton Transmission: 5 Spd Automatic Mileage: 119,400 Drivetrain: Rear Wheel Drive Exterior Color: White Vehicle Overview Call Charlie at (516-333-7483) for additional information about this bus or the listing of the 45 additional vehicles in our inventory. 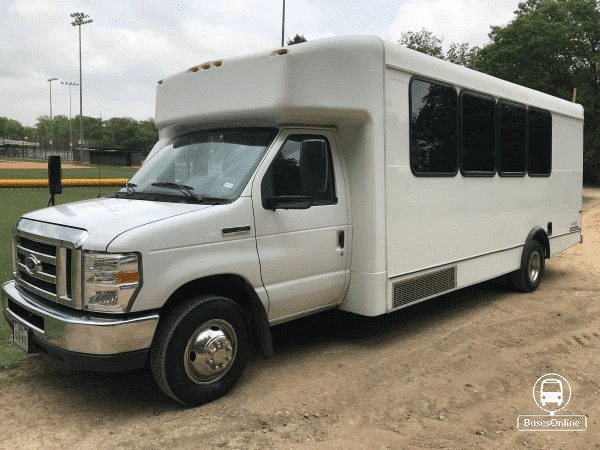 FORD E-350 14 SEATS WITH UP TO 4 WHEELCHAIR POSITIONS NON-CDL SHUTTLE BUS DURABLE FORD TRITON 5.4L V-8 ENGINE & AUTOMATIC TRANSMISSION WITH OVERDRIVE. MAJOR VEHICLE EXCHANGE HAS OVER 45 RECONDITIONED SHUTTLE BUSES AND WHEELCHAIR BUSES & VANS FOR SALE READY FOR DELIVERY. FULLY DETAILED SHUTTLE BUS WITH VINYL SEATING FOR UP TO 12PASSENGERS PLUS DRIVER AND CO-PILOT AND UP TO 4 WHEELCHAIRS. IDEAL FOR ADULT CHURCH TRANSPORTATION, SENIOR TRANSPORT, RETIREMENT HOMES, ADULT DAYCARE, FAMILY USE, SHUTTLE BUSINESS, WORKER TRANSIT OR TRADE USE. HIGH CAPACITY FRONT & REAR AIR CONDITIONING AND HEAT - ELECTRIC PASSENGER DOOR - 14 SEATS WITH SEAT BELTS, ARMRESTS AND GRAB HANDLES - ELECTRIC WHEELCHAIR LIFT - AM/FM/CD STEREO - ANTI-LOCK BRAKES. VISIT www.getanybus.com OR CALL CHARLIE AT 516-333-7483. 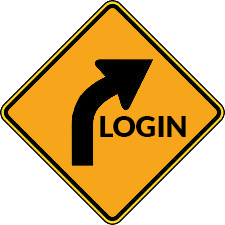 COMPLIMENTARY AIRPORT PICKUP OR DELIVERY ARRANGED ANYWHERE IN THE UNITED STATES AND CANADA. Major Vehicle Exchange presents this 2006 Ford E-350 14 seater with up to 4 wheelchair positions including driver & co-pilot shuttle bus. Equipped with an economical and dependable Triton 5.4L V-8 engine which delivers superb performance and power under load. This engine is known for it's easy maintenance and reliability. The bus is in excellent condition for its age and mileage and has been thoroughly reconditioned including painting, checked and road tested. This vehicle was in service in an adult daycare and maintained diligently. It's seating arrangement is perfect for Tours, Charters, Shuttle Service, Church, Senior and Adult Daycare, Retirement Homes, Handicapped Mobility, Schools and much more. Fully inspected and ready for immediate delivery. The automatic transmission shifts smoothly, and the drive train feels like new. All mechanical functions are in excellent working condition and all fluids have been checked and changed as needed. Comfortable accommodations for all passengers, including front and rear air conditioning and a rear heating unit for the colder months. The tires are in very good condition. The sides, front cap and rear of the exterior were repainted & it has just been detailed for an excellent appearance! The carpeted interior looks fresh and is very comfortable. Safety equipment is located throughout the bus includes seatbelts for all passengers. *PRICE REFLECTS CURRENT HIGH BID AND IS SUBJECT TO CHANGE AT ANY TIME DURING THE ONGOING AUCTION. * ONLINE AUCTION- Ends 10/3/17. 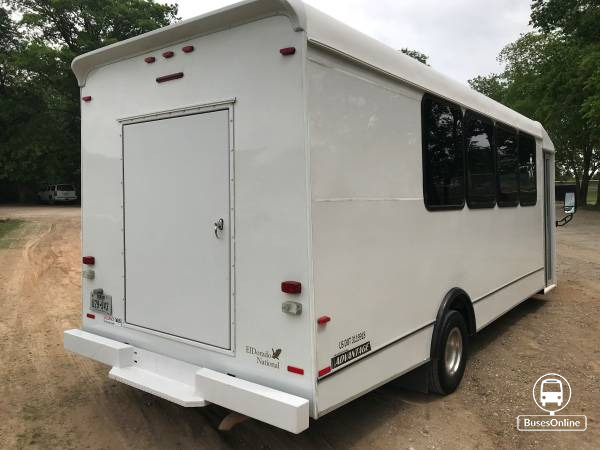 To see full details for this item please go to https://www.govdeals.com/index.cfm?fa=Main.Item&itemid=14217&acctid=685 2003 Ford Econoline E-350 Super Duty Goshen Bus (5.4L V8 Gasoline). VIN 1FDWE35L53HA41984. Miles 142,627. This vehicle will start up and drive but some repairs may be needed. 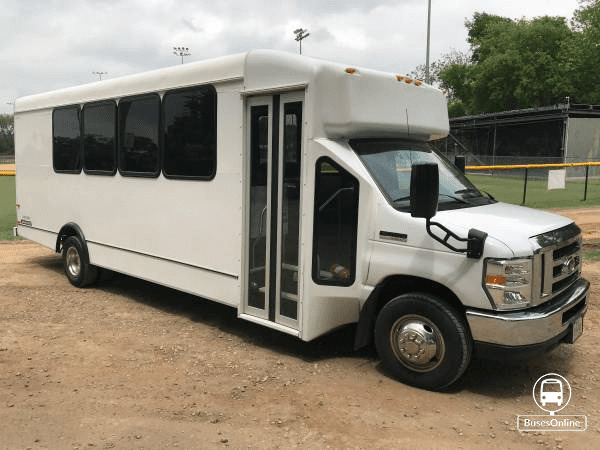 Additional info: inspection recommended; 15 passenger capacity; the electric entry doors and wheelchair lift work; the A/C is cooling; the exterior is in poor condition with scratches and dents; the interior is in fair condition; the tires are in fair condition. 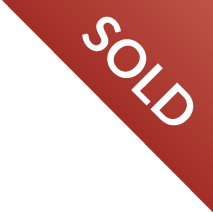 ALL vehicles are sold as is, where is, with no warranty expressed, written, or implied. Bidders are strongly encouraged to inspect the vehicle before bidding. Major or minor defects may or may not be noted.